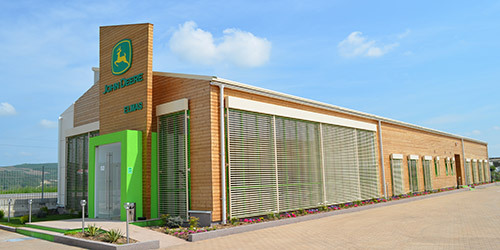 We will keep you connected to technologies and latest developments from the forestry sector. 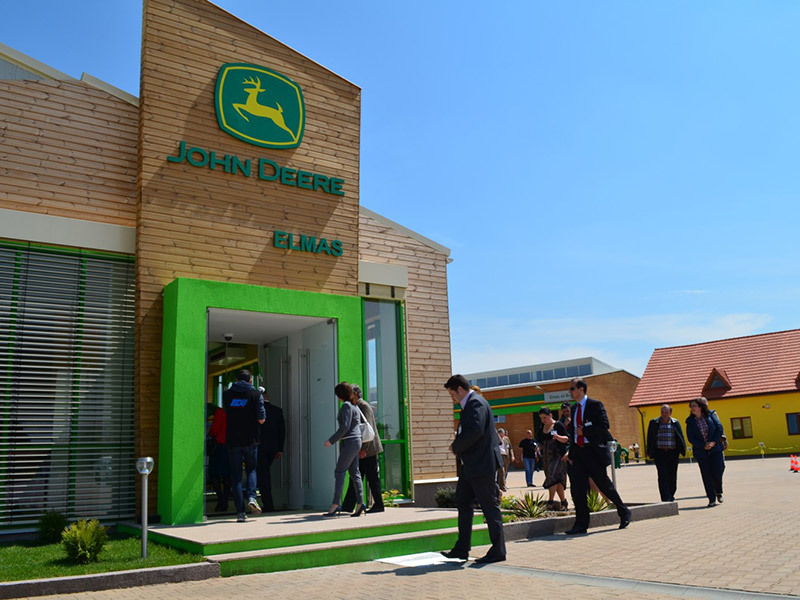 Elmas company, exclusive John Deere Forestry partner in Romania, has specialized in providing tailored solutions for the modern forestry exploitations. 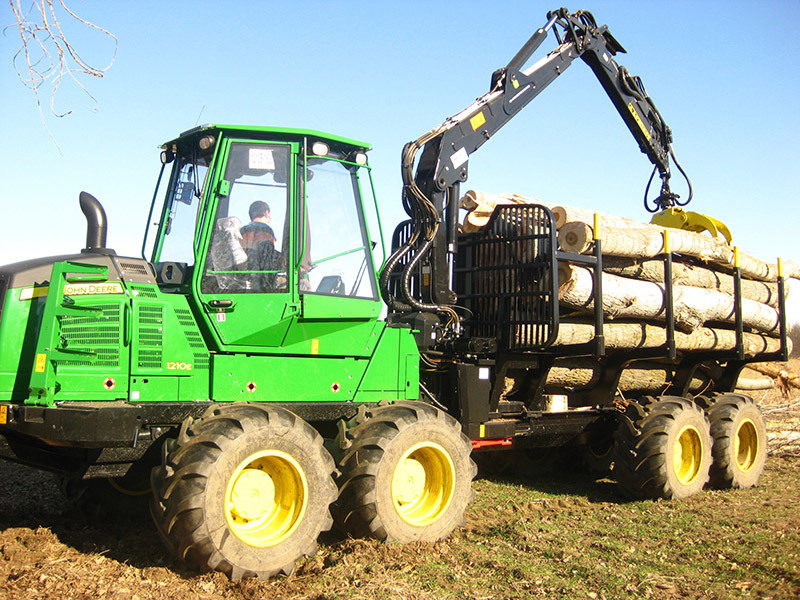 In order to prevent the exploitation of forestry limitative factors of flood plain areas of the Danube, as well as in the restrictive forest treatments, we recommend the use of adapted equipment such as the John Deere forwarder with IBC (Intelligent control boom) type, in combination with the 8 tons winch with radio transmitter, raising the standards of the forestry exploitation. The exploitation of the Euroamerican poplar (Populus euroamericana) on the ground along the river margin may be difficult at any time because of the risk of loss from tree cutting in the Danube, which is why the forestry company for the exploitation and processing of wood Aiembalpex SRL in Poiana Mare, Dolj county chose to resolve this deficiency requesting Elmas company, John Deere Forestry representative in Romania, to mount a hydraulic winch and a radio transmitter on the new log transporter (forwarder) John Deere 1210 E IT4, the equipment being put into operation earlier this year. 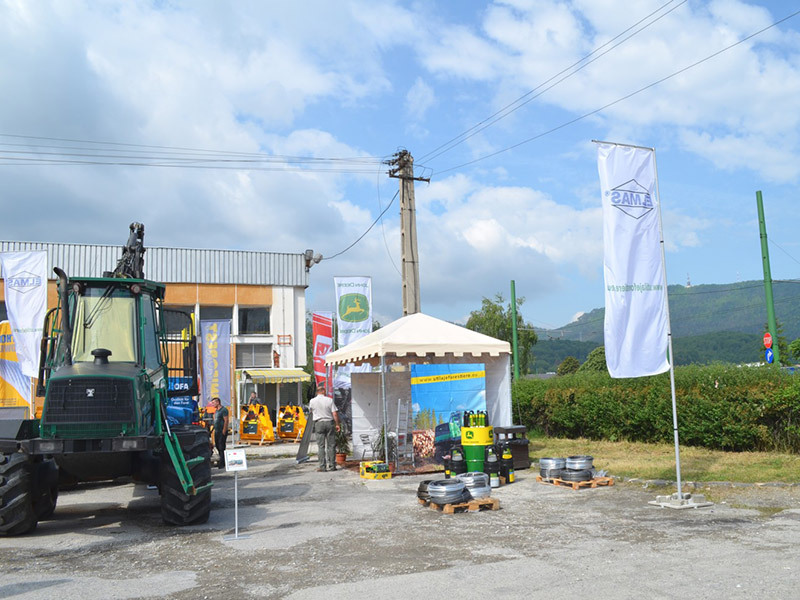 The introduction of John Deere 1210 E forwarder in the operating team led, according to the statements made by Aiembalpex SRL representative, eng. 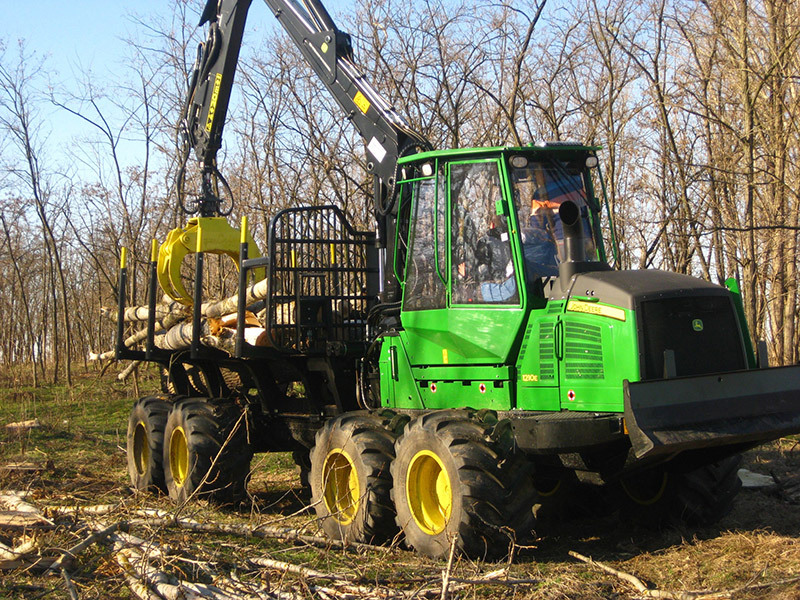 Theodor Emanuel Bălteanu, to a decrease of the team consisting of three U650M forestry tractors, an front loader (Ifron), three binders and two cutters (nine persons), to a forwarder operator and two lumberjacks (three people), plus a piece of equipment that generates a consumption of about seven liters of fuel per work hour. 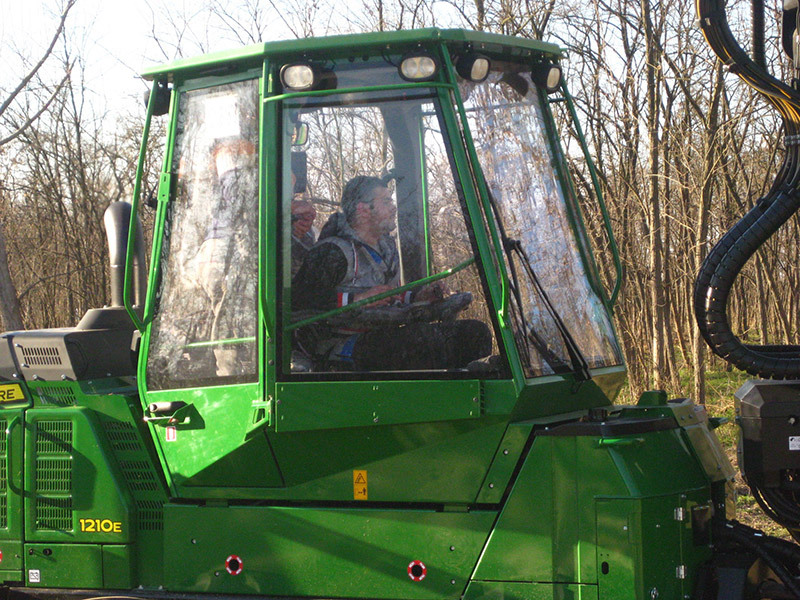 Implementation was carried out in two successive stages of training for the operator - one before the delivery, on the John Deere simulator, where the operators were introduced to the main concepts of working with the JD 1210 E forwarder, and the second stage of training, lasting one week, performed on the client’s machine (JD 1210 E) during actual forestry operations, where the correct operational steps of the use and operation of the equipment were revised, materializing in, at the end of the practical training, the extraction of 8-9 freights per day, in the real existing conditions. 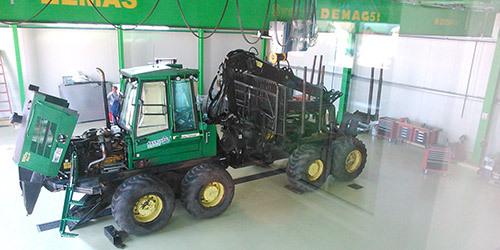 In periods of heavy rainfall or flood, your John Deere 1210 E forwarder will be equipped with back tracks and anti-skid chains on front wheels, which can bear loads of up to 21 tons, moving without problems on soft soils, as a result of the substantially increased bearing area by means of the adequate out fit. 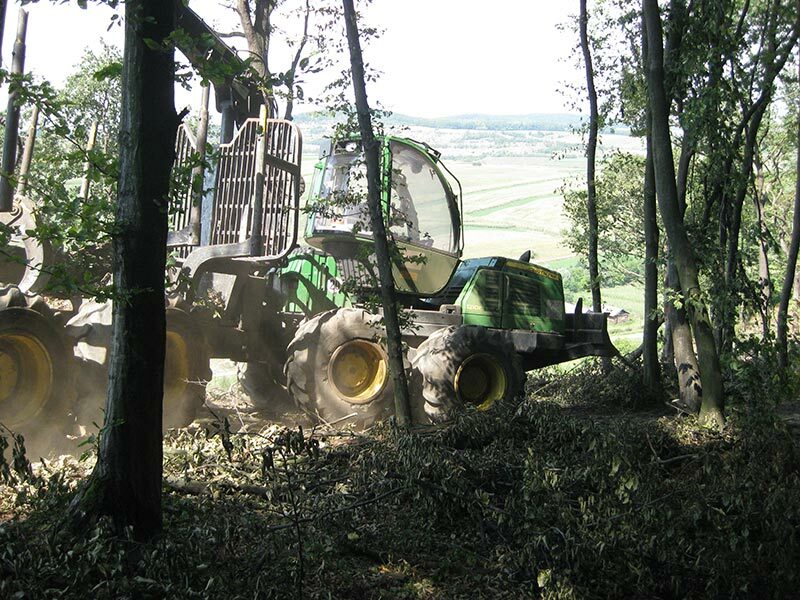 Through the endowment of the equipment with the front bulldozer blade, with the automatic buoyancy function, from that on creation and rearrangement of the forest road becomes something easily accomplished, being done simultaneous with the timber extraction from the forest, without additional costs for the execution or additional fuel. 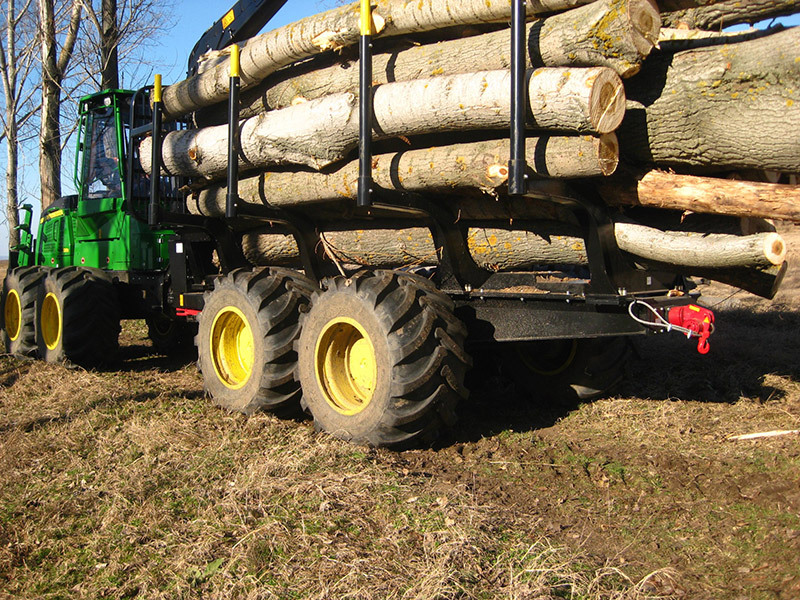 In the silvo-tehnical progressive treatments of the oak, aimed at getting natural regeneration under massive by applying non-uniform, repeated cuts, concentrated in certain meshes scattered irregularly around the forest, the use of the winch is compulsory for approaching the trees in regeneration areas, then proceed to cuttings and ecological transport through direct carrying to the primary platform with your John Deere forwarder 1210 E IT4 forwarder, complying with the most stringent pollution norms, in accordance with European Directives. 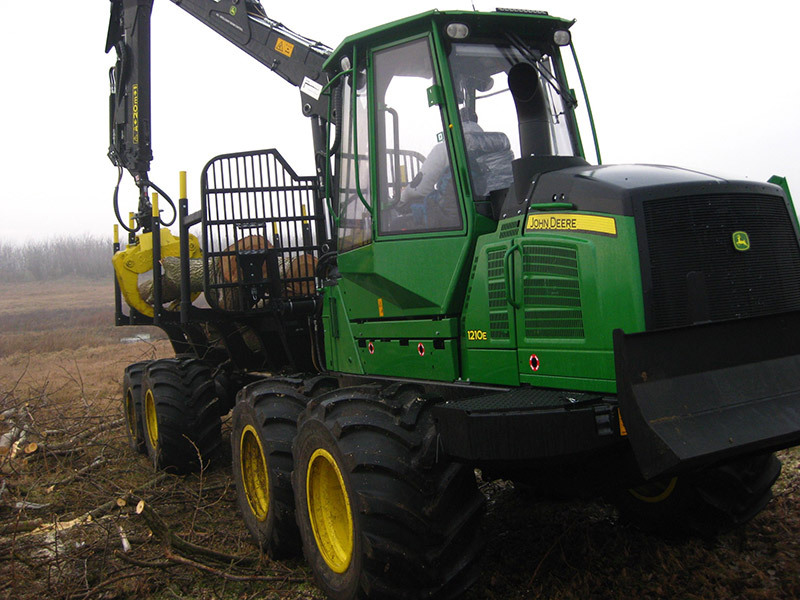 John Deere 1210 E IT4 equipment is also provided with the intelligent handling system of the boom, for loading and unloading logs, suggestively named IBC (Intelligent control boom). 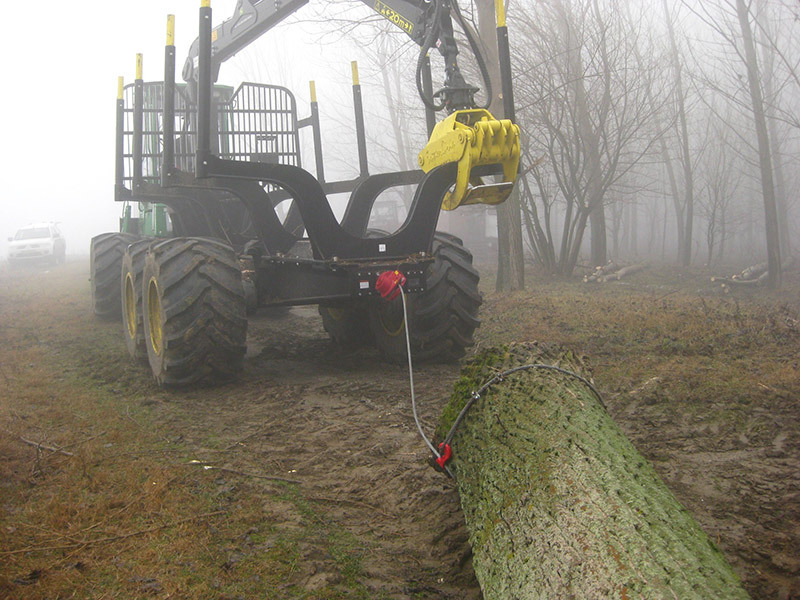 This innovation is unique in the world of logging equipment, feeling the future movements of the operator and automatically coordinating the necessary distance for gripping the logs, by automating the crane extension, the operator being no longer responsible for this function. 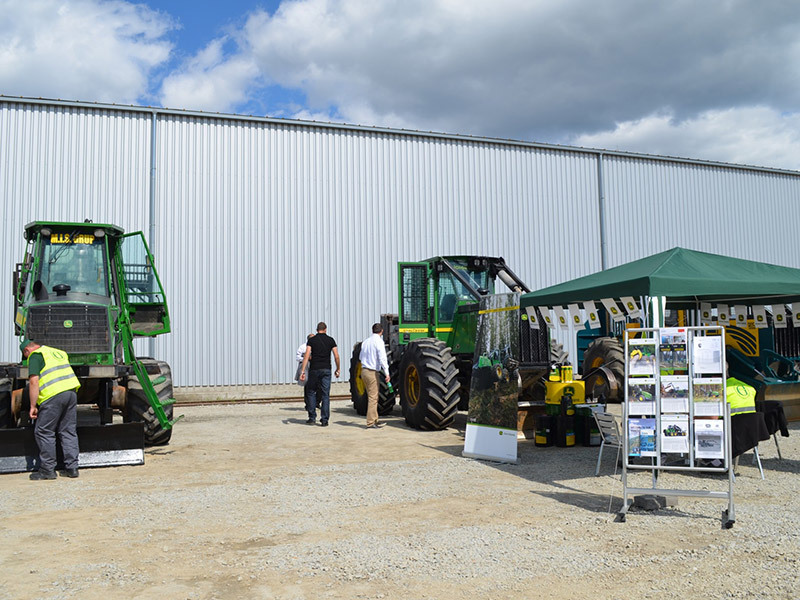 This way, beginner operators are becoming more experienced, and those with experience become faster, generating better results and high productivity. 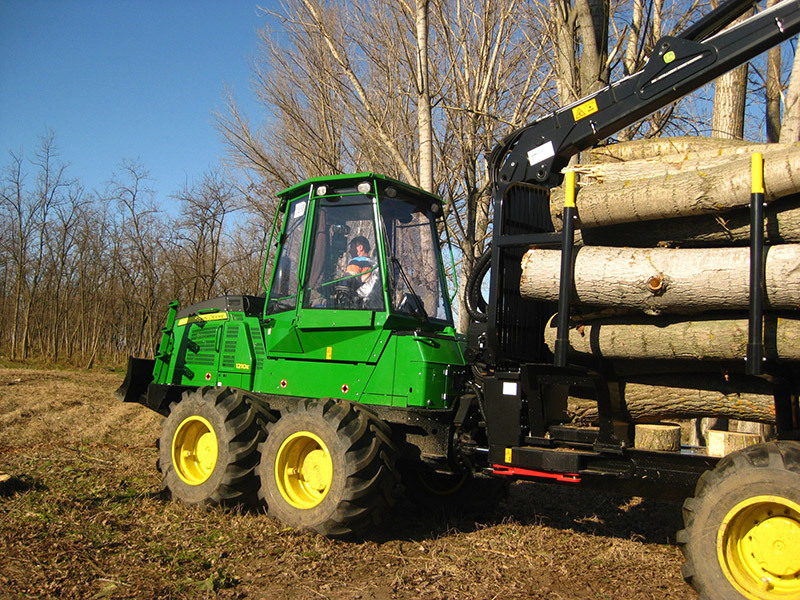 Transport and handling of logs is easier and handy to anyone through customized solutions developed by Elmas Company, exclusive partner of John Deere Forestry in Romania.